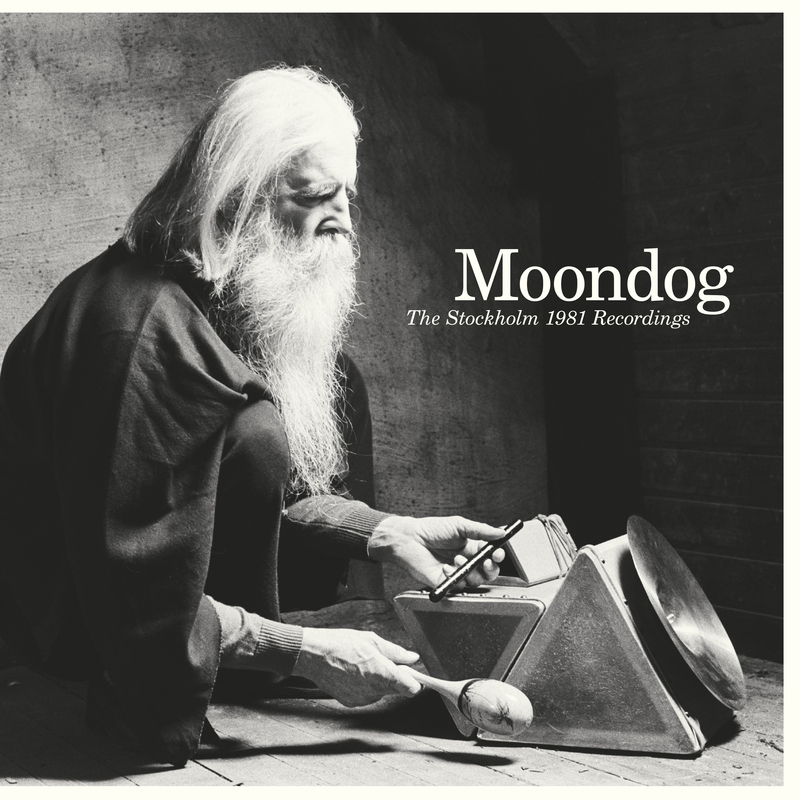 Moondog & Daniel Karlsson Trio – New releases! Two new releases due April 13! It’s something of a mystery why Moondog, a.k.a. Louis Hardin, isn’t featured in the writings of Joseph Mitchell. The blind street musician and visionary, for decades standing in the corner of Sixth Avenue and 54th Street performing his own version of utopian free music, is the typical eccentric city character given life and story space in Mitchell’s portrait articles for the New Yorker magazine, collected in books like McSorley’s Wonderful Saloon, The Bottom of the Harbor and Joe Gould’s Secret. The special flow of Moondog´s music, played on homebuilt and hand-made instruments like the Trimba, the Yukh and the Tuji and combining this and that, Native American rhythms, march band melodies, jazz syncopations, city sounds like fog horns and the harsh rhythms of passing subway trains, hymns and European classical traditions, could be compared with other American visionaries and mavericks like Charles Ives, Gertrude Stein or Harry Partch. But the music has its own way of finding a place in the world. The tunes are constructed a bit like Mitchell’s sentences. They are often frank in character and sometimes rudimentary in appearance, but the parts are carefully put together according to classical canon and counterpoint principles, and when you analyze it the music is strangely precise. Five albums in, the Daniel Karlsson Trio’s sound has matured like a vintage wine and these tracks showcase the myriad musical aromas that define their sound. The piano trio is one of the most commonplace of jazz formats: these compositions, however, are anything but. This group is expanding the horizons of what a trio can do. Daniel Karlsson’s keyboard is boundlessly creative. The group uses a bold tonal palette, effects and recording techniques to squeeze the maximum potential from their instruments. Drummer Fredrik Rundkvist and bassist Christian Spering are equal partners in creating a cornucopia of textures and rhythms that treat the listener to an emotional rollercoaster. Karlsson is an alchemist. He creates intricate and profound musical statements from the simplest of ideas. A slight but infectious motif such as that opening The Last Tessoro effortlessly transforms into a broad, fractal landscape, but one in which the central hook is never lost from view. Likewise, A Man and His Umbrella is so buoyant and understated as the melody rolls along, you can’t help but enjoy it. You’ll hear simplicity in tunes like Let Me Tell You One More Thing and Route 222, tracks in which every note has time to simply ‘be’, allowing the listener to luxuriate in pure, uncomplicated sound. Karlsson, Rundvist and Spering – craftsmen, all – know that what you leave out is often as important as what you put in. But there are also more complex and up tempo offerings, such as the infectious swing of Salzburg or the power charge of Fusion For Fish, for which, incidentally, the piano riff sixty-two seconds in is some of the most exhilarating piano you’ll ever hear. The Daily Döner is an intense fairground ride of sounds suffused with intensely positive chord progressions and is simply great fun, while new track Colourful Grey provides a sweet cocktail of moods, simultaneously introspective and joyous, and catchy as hell. 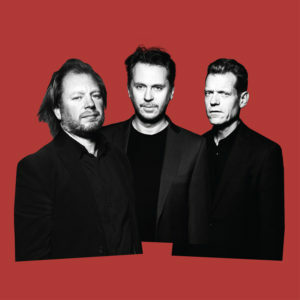 This collection is a great way to discover the boundless creativity and dynamism the Daniel Karlsson Trio generates. Their music is soulful, life-affirming and tremendously rewarding. Enjoy. This entry was posted in News on April 5, 2019 by gp.